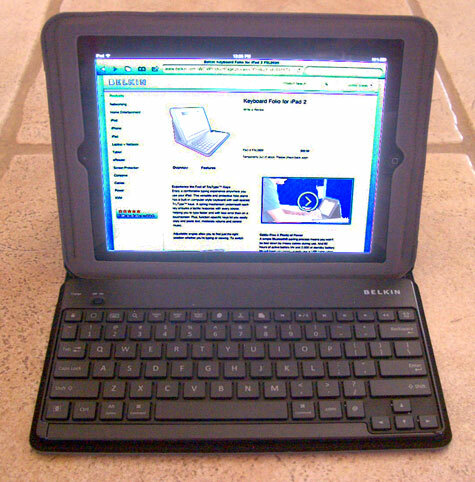 Belkin’s new iPad2 Keyboard Folio allows users to type with proficiency in several horizontal landscape positions. USB charging is efficient and long-lasting. Special iPad function keys are included in an upper row above the number keys. Nemo likes this product, except for its dark, matte keys and dull gray letters, numbers, and function keys. Do you think he is incompetent on his iPad because he very much prefers actual typing keys over the iPad’s fake screen keyboard? Listen and let him know. This entry was posted in AppMinute Podcast and tagged in iPad2 Keyboard Folio.